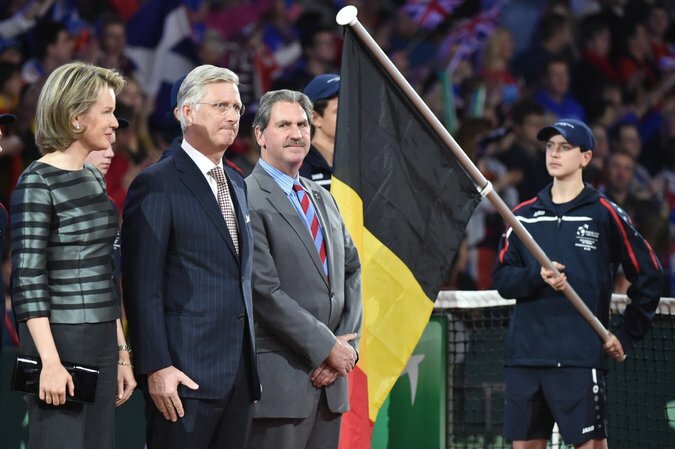 At the Davis Cup’s opening ceremony last month, from top left, Queen Mathilde and King Philippe of Belgium with David Haggerty, president of the International Tennis Federation. Tennis’s oft-questioned antidoping program took some new hits last month when Andy Murray called for more investment and Roger Federer called for more testing. When Federer arches an eyebrow and complains, it soon goes global, all the more so at a moment when Russia has been banned from international track and field for operating what investigators said was essentially a state-sponsored doping program — and all the more so when institutional corruption seems to be all the rage in global sports (see FIFA’s expanding rap sheet).